Posted on Thursday, January 03, 2019 by "T". Before 2018 ended, poker pro Dan ‘Jungleman' Cates called out Tom ‘durrrr' Dwan through Twitter, asking the high-stakes poker pro when to resume their long-stagnant "Durrrr Challenge". Of course, given that the former Full Tilt Poker ambassador has not touched his Twitter account since July 2018, many are not expecting him to answer so soon. Those who follow him would believe that Dwan is entirely not interested in completing this challenge that started back in 2010. Posted on Friday, August 11, 2017 by "T". On Wednesday night, Dan "jungleman12" Cates made a surprising announcement while he was on Doug Polk's podcast regarding his tribulation that started back in 2010 with fellow pro poker player Tom "durrrr" Dwan. Cates On The 'durrrr Challenge': "The challenge is agreed to be played out in the next 9 months"
Posted on Wednesday, August 05, 2015 by "T". In 2009, Tom "durrrr" Dwan was at the top of his career playing high-stakes heads-up cash games online. The fact is that he was so confident in his game that he offered anyone 3-1 odds on $500k who could beat him in heads up after 50,000 hands. He posted the below message on a poker forum. Read more » Cates On The 'durrrr Challenge': "The challenge is agreed to be played out in the next 9 months"
Daniel Cates on Tom Dwan & the 'Durrrr Challenge': "He Scammed Me"
Posted on Thursday, September 04, 2014 by "T". In 2009, Tom "durrrr" Dwan was at the height of his career and announced the durrrr challenge on an online poker forum to get some action: "I'm making this heads-up challenge to the world. Anyone can accept. Four tables, minimum of $200/$400, and I'll put up $1.5 million to their $500,000. We play 50,000 hands minimum and if they end up a dollar after rake they keep the side money or whatever. So basically, if you and I played and you won a dollar, you would get my $1.5 million and if I won a dollar I would win your $500,000. So I'm giving a million dollars free if anyone thinks they can do it." 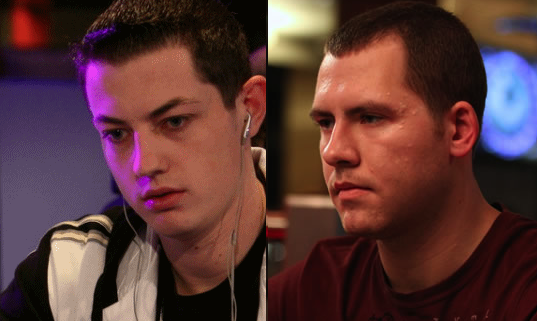 Read more » Daniel Cates on Tom Dwan & the 'Durrrr Challenge': "He Scammed Me"
Posted on Thursday, August 01, 2013 by "T". Just about three years ago, Tom "durrrr" Dwan and Daniel "jungleman12" Cates agreed to play 50,000 hands as a part of a heads-up challenge at Full Tilt Poker. The rules were that Dwan would get $500,000 from Cates if he won the challenge, and Cates would get $1,500,000 from Dwan if he won. Now, as you probably already know, the two pros have only played about 19,000 hands and it seems like a lifetime ago when they played last. Now the good news... according to a forum post by Daniel Cates, the challenge is set to resume in August. Cates wrote that he and Dwan have agreed to play a minimum of 4,000 hands in August and a minimum of 8,000 hands the followings months until the challenge is completed. Cates is currently holding the lead with a $1,251,059 profit after 19,335 played hands. Besides that, he's been running very good at Full Tilt Poker as of late, so you can't blame him for wanting to complete the challenge and, most probably, get $1.5 million from Tom Dwan. Posted on Tuesday, December 14, 2010 by "T". Last week the poker gods were really good to Tom "durrrr" Dwan at Full Tilt's highest tables. Well, he played lots of hands against many different opponents almost every single day - a strategy that paid off quite well as he ended up the biggest winner and almost $600k richer. Durrrr will for sure be one 2010's biggest winners if nothing goes very wrong in the coming weeks. His biggest threat for the first place will probably be the man he's playing the durrrr challenge against, Daniel "jungleman12" Cates. Posted on Friday, December 10, 2010 by "T". The challenge between Tom "durrr" Dwan and Daniel "jungleman12" Cates is moving forward slowly lately. However, they managed to play abut 1500 hands the other day and now they have played more than 11,000 hands. 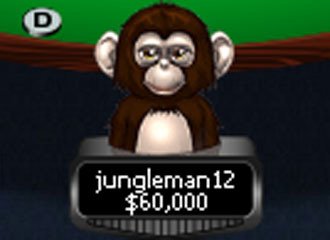 Durrrr was down about $800,000 against junglemen when the 1500 hand session started. Finally the poker gods were on durrrr's side and he ended up winning $180,000 from jungleman12. In other words, durrrr is "only" down about $720k. Let's hope for some more action this week! Posted on Tuesday, August 31, 2010 by "T". The new durrrr challenge between Tom "durrr" Dwan and Daniel "Jungleman12" Cates has been running for a few days now. Even though they only have played 2 sessions of No Limit Holdem so far, Jungleman12 already has taken the lead with almost $700,000! According to Full Tilt Poker's blog, Dan Cates has won 61% of all pots and has a VPIP (Voluntarily Put Money into the Pot) of 69%. Dwan's VPIP is slightly lower at 65% and Cates has a win rate of about 25 BB/100. Posted on Thursday, August 19, 2010 by "T". It's nothing new that the poker giants Tom "durrrr" Dwan and Luke "_FullFlush1_" Schwartz don't like each other. For over a year both of them have been trash-talking each other in poker chats and interviews. However, it's probably the sandwich thief Luke Schwartz who has been the worst trash-talker of them. Every single time Luke has gotten the opportunity to talk bad about durrrr, he does so. For example, Luke said "I hate durrrr. I hate his face, his voice, his eyes. I hate everything about him" in a recent interview. durrrr challenge: Dwan won big in no-time! Posted on Tuesday, March 16, 2010 by "T". 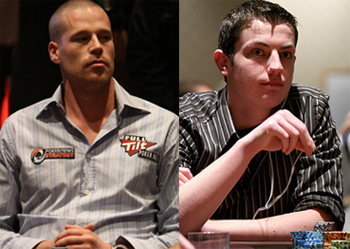 It seems like Patrik Antonius has no chance against Tom Dwan in the durrrr challenge lately. I'm saying this because Tom Dwan has dominated every single session they have played in the past few months. The last session was no different. It only took Tom Dwan 9 minutes/61 hands and he had taken $230,710 from his finnish opponent. Tom Dwan has now won almost $2 million dollars from Antonius in the durrrr challenge. Even though they still have to play another 17,000 hands, I really doubt that Patrik Antonius can win this challenge. Well, nothing is impossible, but if Tom Dwan continue playing this well -- he's unstoppable! Posted on Friday, February 12, 2010 by "T". Did you know that Tom "durrrr" Dwan has his own blog? If the answer is no - then you're not alone! Dwan's blog is almost never updated and therefore many have gotten used to follow their favorite American high stakes pro through media. Anyhow, just a few days ago, durrrr updated his blog with some really interesting things. For example Tom Dwan writes a few words about why he created the "durrrr challenge", about the money he lost in 2009, and most interesting of all - some thoughts about the mysterious Swede Isildur1, who he lost millions of dollars to last year. Tom Dwan ends his blog by promising his fans that he'll donate $10,000 to Haiti every month he doesn't update the blog at least 3 times. Posted on Thursday, February 11, 2010 by "T". On February 8, it was once again time for another session of the durrrr challenge between Tom Dwan and Patrik Antonius. This time they played a 883-hand session. Tom Dwan crushed Antonius this time, taking a total of $315,000 from him. One of the biggest pots of the night was played out this way. Antonius opened on the button to $1200. Dwan three-bet to $3600 and Patrik called. Posted on Thursday, January 28, 2010 by "T". After a few weeks break, it was finally time for Tom Dwan and Patrik Antonius to continue the battle last night. During 4 hours, they managed to play 1230 hands. Even though it was a quite long session, it wasn't as much action as many hoped for. The biggest pot this night landed on around $120,000 and was won by Tom Dwan. However, it came to be Patrik Antonius who ended up plus $5,983 in the end of the day. This result doesn't change a lot in the durrrr challenge. Dwan still has a big lead ($878,000) and there is still 19,000 hands to be played. Ladies and gentlemen, it seems like we will have to wait a few more months (at least) before this challenge comes to an end and we have a winner. Posted on Wednesday, December 23, 2009 by "T". Yesterday, it was finally time for another durrrr challenge session between Tom "durrrr" Dwan and Patrik Antonius. Lots of people rushed to their computers as 2 of the worlds best were about to play some real high stakes poker at Full Tilt. None of these people/spectators can have been disappointed with the action field game they got to watch. During 7 hours, Dwan and Antonius played almost 2000 hands. And as usual when Tom Dwan and Patrik Antonius play against each other -the swings were enormous. Many times during this session, Patrik Antonius was in the lead and seemed to have everything under control, but Tom Dwan managed to fight back and make some great plays and also overtake the lead. After that the session was over, Tom Dwan had won another $225k from Antonius. This means that after almost 30,000 hands, Tom Dwan is in the lead with almost $940,000. Posted on Tuesday, December 08, 2009 by "T". Yesterday, after another long break, durrrr and Dwan played 588 hands in 2 hours time - a quite short session in other words. The winner this time came to be Patrik Antonius who won $68,000 even though durrrr took home many of the bigger pots. However, Patrik was the one who took home the biggest pot this time, $143,193. This session was probably the most boring of all durrrr challenge sessions so far. Let's hope for longer sessions, more action and bigger pots the next time durrrr and Antonius play against each other. Tom "durrrr" Dwan is in the lead with $711,556 after that 27,773 hands out of 50,000 hands have been played. It seems like we will have to wait a few more months (at least) for the durrrr challenge to come to an end if they don't start playing more often. Posted on Thursday, October 29, 2009 by "T". It seems like Tom "durrrr" Dwan and Patrik Antonius find it hard to find some time to play the durrrr challenge lately. And when they play, it's usually only one to two hour sessions. This time was different. 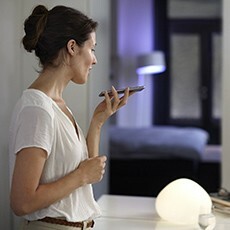 In this session they played multiple sessions with shorter breaks over an eight hour period. Tom Dwan has been playing very well in the durrr challenge lately, and it seems like the poker gods are on his side when he needs to get lucky. In this session Tom Dwan stayed in the lead against Antonius all the time and also took down the most bigger pots (around $200-$300k). An example of when Tom Dwan got lucky in this session is when he and Antonius went all-in pre flop. Antonius had a much better hand and flopped trips. At this point, Tom Dwan only could win with a runner, runner straight. Tom Dwan prayed to the poker gods, and the poker gods answered his prayers by giving him the straight and the pot of $190,000. Tom Dwan has now increased his lead with another $82k. This means that after 27,185 hands of the durrrr challenge, Tom Dwan has a lead of $779,248. Of course it's still a long way to go of the durrrr challenge. Anything can still happen, and that is probably why it's still so interesting to follow the durrr challenge? Posted on Thursday, October 08, 2009 by "T". Another durrrr challenge session has now been played between Tom "durrrr" Dwan and Patrik Antonius. In this session they played 1063 hands, and it was "durrrr" who dominated the game and took down the biggest and most important pots. "durrrr" won $418,440 from Antonius this time and he's now in a big lead with $697,000 with less than half of the 50,000 hands remaining. Tom "durrr" Dwan and Patrik Antonius will play 50,000 hands at the stakes $200/$400 pot limit Omaha at Full Tilt Poker. After that all the hands have been played, the winner will keep both his winning from the durrrr challenge + that he will get the side bet. After a long break away from the durrr challenge, Patrik Antonius and Tom Dwan have now played 2 sessions within 24 hours. Before the first one started, Tom Dwan, had a big lead with over $700,000 won from Antonius, but the Finnish poker pro took back $392,000 from Tom Dwan after they had played 795 hands and decided to stop for the day. Just a couple of hours later they decided to play another session of the "durrr" challenge. Before this session started, Tom "durrrr" Dwan, was in the lead with $334,199. But once again Patrik Antonius played his very best of poker and this time he won $415,311 from Tom Dwan. Patrik Antonius, is now in the lead with $76,104 over Tom Dwan after 22 683 hands played. 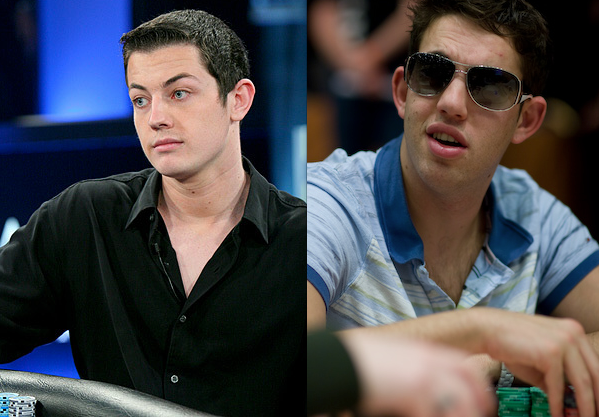 It will be very interesting to see if Tom Dwan will manage to fight back in the next session against Antonius. Posted on Wednesday, August 26, 2009 by "T". After a long break due to WSOP and other things, "durrrr" and Patrik Antonius once again played a session of 795 hands as a part of the durrrr challenge. Before the session started, Tom "durrrr" Dwan, had a big lead with over $700,000 won from Antonius. But, the long break seems to have been what the Finnish poker star needed to get back in shape. In this session, Patrik Antonius, played a totally different game than before and thanks to that he took home the biggest and most important pots. After 795 hands played, Patrik Antonius, stood as the bigger winner of the day with $392,000 dollars won from "durrrr". 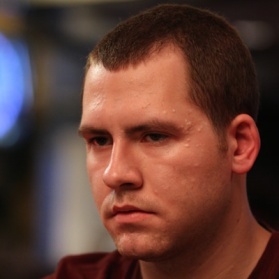 Tom "durrrr" Dwan, is still in the lead with $334,199 even though he lost so much this time. However, there is a very long way to go as "only" 21,442 hands out of 50,000 hands have been played so far. Anything can happen with other words. A new variant of the "durrrr challenge"
Posted on Wednesday, August 12, 2009 by "K". Ever heard of the "durrrr challenge"? For those who haven't, or simply need to be reminded we can inform that it was the american high stakes pro, Tom "durrrr" Dwan, who challenged any player in the world to play 50,000 hands in the games NL Holdem/PL Omaha with the minimum stakes $200/$400 at Full Tilt poker. If Tom Dwan won his own challenge, the opponent would have to give him $500,000. But if Tom Dwan lost, then he will give the other player $1,500,000. Sometime after the announcement of the "durrrr challenge" (a few months back in time), Patrik Antonius, the Finnish poker pro, accepted the challenge. 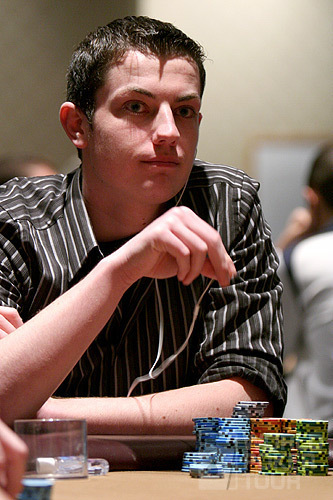 According to the last update, Tom Dwan, is in the lead after 20,647 hands with $727,526.5. Read more » A new variant of the "durrrr challenge"
HighStakes: A great month for "durrrr"
Posted on Thursday, July 02, 2009 by "T". Tom "durrrr" Dwan had a really tough start in the beginning of the year with millions of dollars lost. But the last few months he has improved his poker and is now over $1,5 million plus, he's also leading his own challenge (durrrr challenge) versus Patrik Antonius. Read more » HighStakes: A great month for "durrrr"
Posted on Monday, May 18, 2009 by "T". It's not enough for Ilari "Ziigmund" Sahamies and Tom "durrrr" Dwan to play extremely high stakes like $500/$1000 Pot Limit Omaha. Last weekend they raised the stakes to $3000/$9000 and one got to see some huge pots, many of them around 300,000 US dollars! Posted on Thursday, May 14, 2009 by "T". After 13,000 played hands Patrik Antonius had taken a big lead with almost 500,000 US dollars ahead of his opponent Tom Dwan. Now, 556 hands later, the lead is "only" $391,704 for Antonius. But if Tom Dwan can win almost $100,000 in just an hour, he can probably take back his big loss in just a few sessions? Posted on Tuesday, May 12, 2009 by "T". After 13,000 played hands in the heads-up challenge between Patrik Antonius and Tom "Durrrr" Dwan, Antonius has taken a big lead with almost 500,000 US dollars ahead of his opponent Tom Dwan. But there is a long way to go as they will play another 37,000 hands before the "durrrr Challenge" comes to an end. Posted on Wednesday, May 06, 2009 by "T". Posted on Tuesday, April 14, 2009 by "T". Patrik Antonius, the Finnish pokerpro, is doing great at the moment on Full Tilt's high stake tables. Only this year he has already won over $3,000,000 from playing poker online. How much money he has made from live cash games and tournaments we can only speculate in. Posted on Tuesday, March 31, 2009 by "T". Last weekend Gus Hansen won another million when he took on some of the world's best poker players on the highest limits on Full Tilt poker. Neither of Gus opponents stranded a chance against him and he seemed unstoppable. Gus Has now won over $4 million dollars in just 3 months time. Durrrr challenge: Durrrr in the lead! Posted on Wednesday, March 25, 2009 by "T". Tom Dwan is back in the lead against Patrik Antonius after about 6 600 hands have been played between them in heads up. 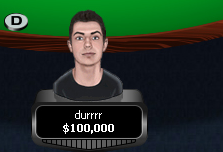 Durrrr now leads with USD$67,000 after that he won the 10th session last Sunday. Read more » Durrrr challenge: Durrrr in the lead!